A South Dakota man will get a jump start on his career thanks to the Build Dakota Scholarship program and Masaba. 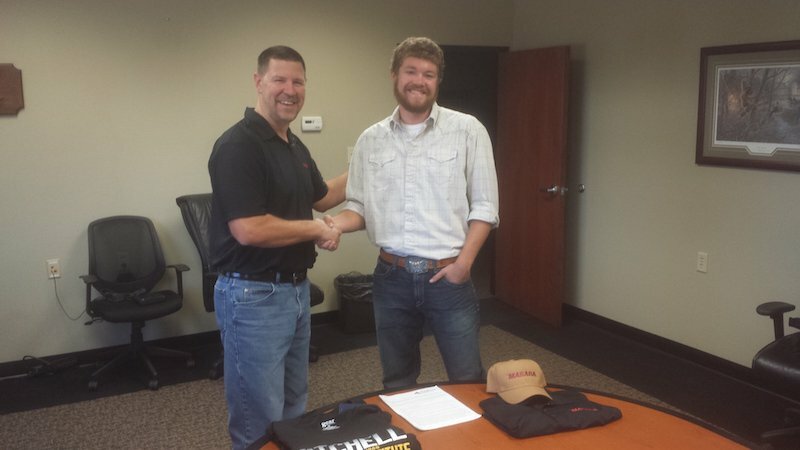 Masaba is partnering with Build Dakota and Mitchell Technical Institute (MTI) to address its projected need for welders through participation in MTI’s Double Edge program. Lofton Covington will enroll in MTI’s Welding & Manufacturing Technology program this fall. Under the program, his education is jointly funded by Build Dakota and Masaba. Covington must maintain an academic standard to remain eligible, and commit three years of post-grad service to the company. Build Dakota was created earlier this year out of a $25 million gift to South Dakota’s four technical institutes by philanthropist T. Denny Sanford. Over the first five years of the program, the equivalent of approximately 1,200 full-ride scholarships will be awarded to qualifying students in eligible academic programs. The state of South Dakota matched the Sanford gift, and those funds were placed in an endowment, which will continue to fund the Build Dakota program after the initial funds are invested in South Dakota’s future technical workforce.